The Art, Design & Architecture Museum, UC Santa Barbara, is delighted to announce the appointment of Dr. Silvia Perea as the next curator of the Architecture and Design Collection at the Museum. Dr. Perea begins her tenure at the Museum on January 14, 2019. She holds a PhD from the Polytechnic University of Madrid and is currently a curator at the Baker Museum, Naples, Florida. In addition, she has completed post graduate degree work at Columbia and Harvard. In the last few years Dr. Perea has curated dozens of exhibitions, as well contributed to a major international exhibition on Alfred Loos. Her dissertation focused on the Case Study House program and its influence on Brazilian architecture. In addition, she has contributed many essays to leading architecture journals, as well as authoring numerous exhibition publications. Dr. Perea’s international experience will allow for the interpretation of the collection (and by extension, the history of Southern California architecture and design) within the context of Latin American and European modern and contemporary architecture. This relationship has been implicit within the ADC’s collections, beginning with the development of Spanish Colonial Revival architecture. 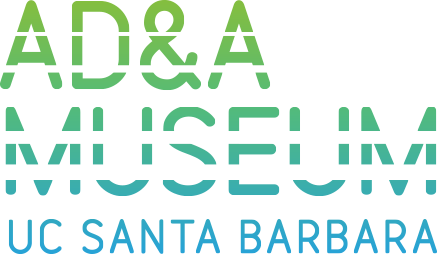 Dr. Perea’s interests will enable the Museum to reveal more of this narrative, all the while maintaining a focus on the Southern California built environment. She will do this through an innovative exhibition and publishing program that both emphasizes the renowned and hidden jewels of the ADC as well as the crossover between art and architecture. As the Museum addresses one of its most exciting challenges in the coming year, developing and building a new Research and Collection Preservation Center, Dr. Perea is perfectly poised to help facilitate that goal. She has not only preserved, managed, and moved collections at her current institution, but was also a leading team member that spearheaded efforts to save the Baker Museum’s holdings during the devastating flooding caused by Hurricane Irma. Additionally, she has worked steadfastly in her current position to help grow the Museum through her donor stewardship activities. We are also very pleased to announce that, Jocelyn Gibbs, her predecessor, will continue to be involved in the Museum and its forthcoming expansion as Curator Emerita and as an advisor to the Collection. We are truly happy and delighted to have both these extraordinary women helping to lead and facilitate the ongoing activities of the ADC.